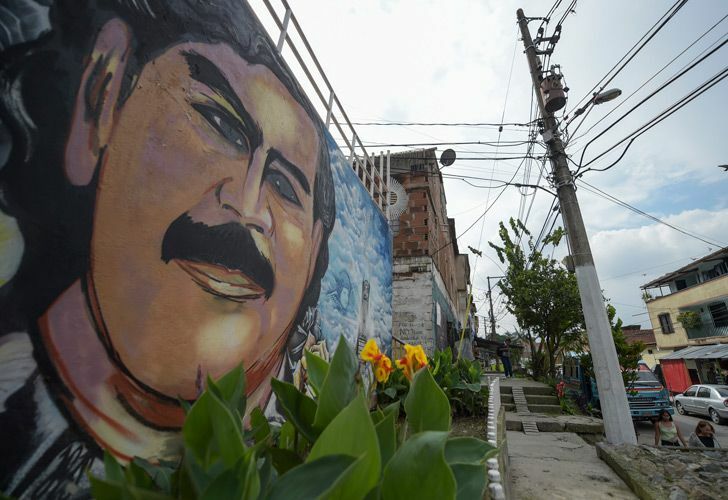 In Medellín, the Colombian city where the drug cartel leader ran his cocaine empire with a mix of brutality and largesse, his legacy lives on. Twenty-five years after he was gunned down by police, Pablo Escobar's legacy refuses to die in Medellín, the Colombian city where he ran his cocaine empire with a mix of brutality and largesse. Even as city officials prepare to demolish the bunker-like mansion where the late drug-lord lived, in the barrio that bears his name residents who live in homes he built for them held heartfelt tributes to mark Sunday's anniversary. 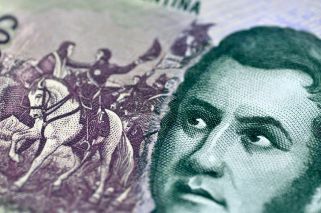 Escobar was killed in a rooftop shootout in Medellín on December 2, 1993 – one day after his 44th birthday, and five months after he appeared on Forbes magazine's list of the world's richest people for the seventh straight time. His eight-story mansion, the Monaco, a symbol of the decadent opulence of the Colombian mafia in the 1980s and 90s, has fallen into disrepair in the years since his death. Its battered frame still bears the scars of Colombia's first car bombing, in 1988, the start of a bloody war between the country's rival cartels. "The Monaco has become an anti-symbol, in a place where some people are outspoken defenders of crime and terrorism," says Manuel Villa, the City Hall secretary who will perform the official countdown to the detonation. "We don't want any more children saying they want to be Pablo Escobar when they grow up." The mansion, a top tourist attraction in Medellin's upscale El Poblado barrio, will be replaced by a public park dedicated to the thousands of people killed in Colombia by "narcoterrorism" – the no-holds-barred war the cartels waged on each other and the state in the 1980s and '90s. The park will cost an estimated US$2.5 million. Renovating and reinforcing the crumbling mansion would have cost US$11 million, according to the city. Angela Zuluaga is one of those who wants to wipe out the country's lingering "narco culture." She was an unborn baby in her mother's womb when Escobar hitmen assassinated her father, a judge, for issuing an arrest warrant against their boss. Her mother was wounded in the October 1986 attack. According to Medellín officials, Colombia's drug violence killed 46,612 people from 1983 to 1994. Escobar is remembered as the "Colombian Robin Hood" in the barrio that bears his name, where he donated 443 houses to formerly homeless people who lived and scavenged at the local dump. "I see him like a second God," says one resident, María Eugenia Castano, 44, as she lights a candle at an altar that bears Escobar's photograph. "To me, God is first, and then him."